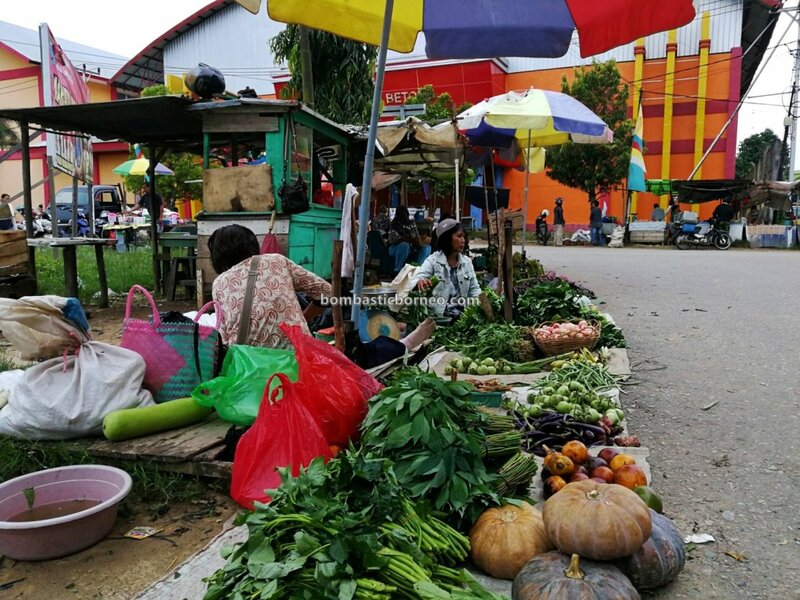 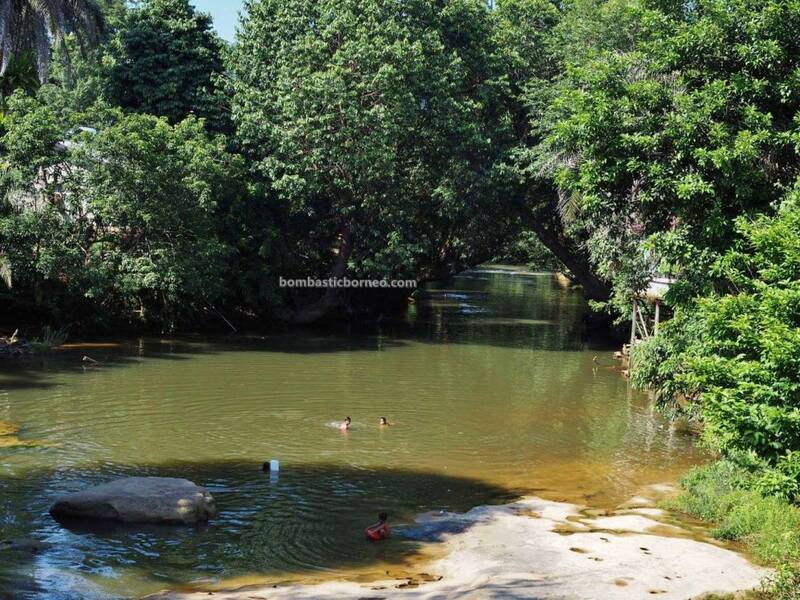 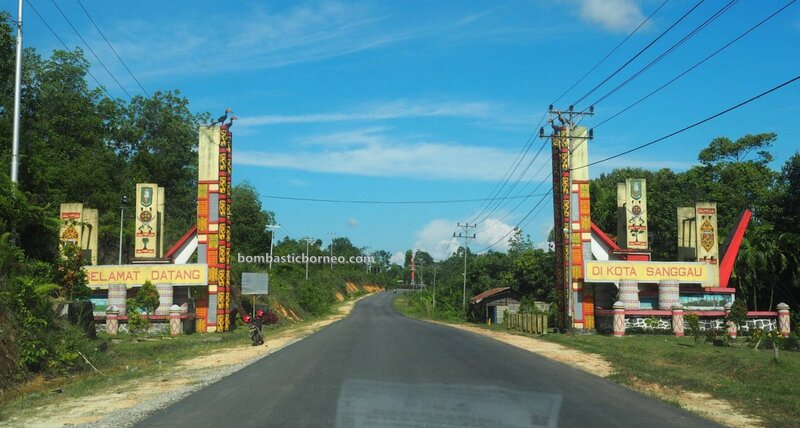 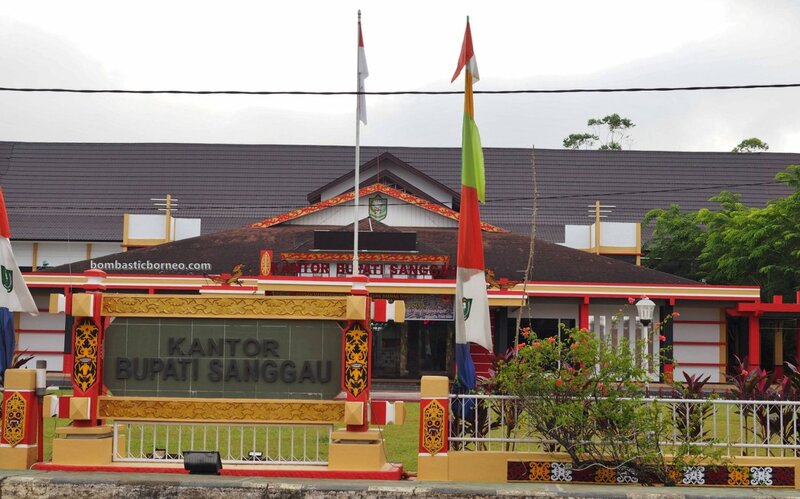 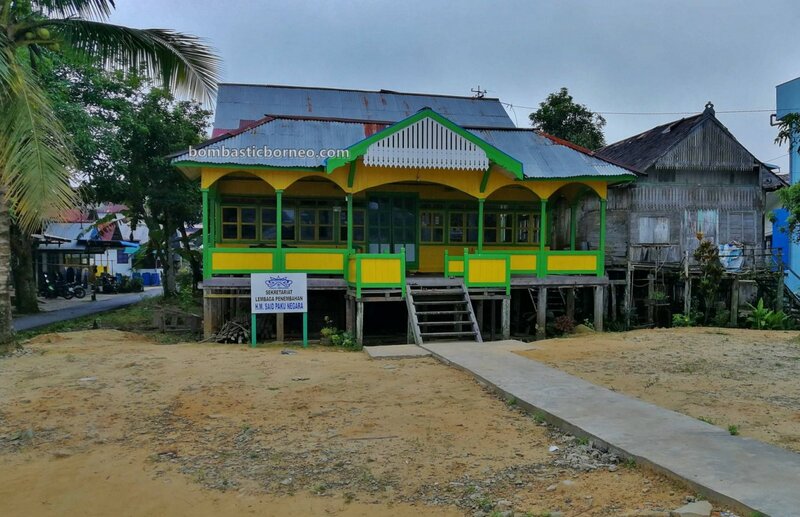 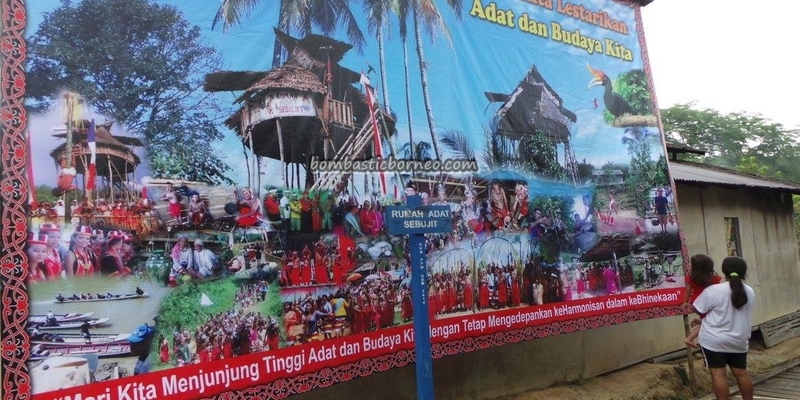 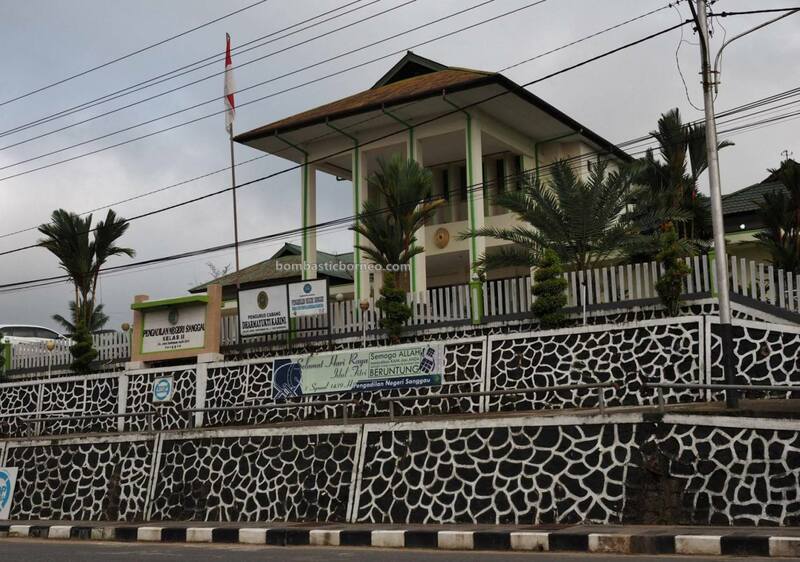 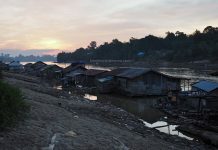 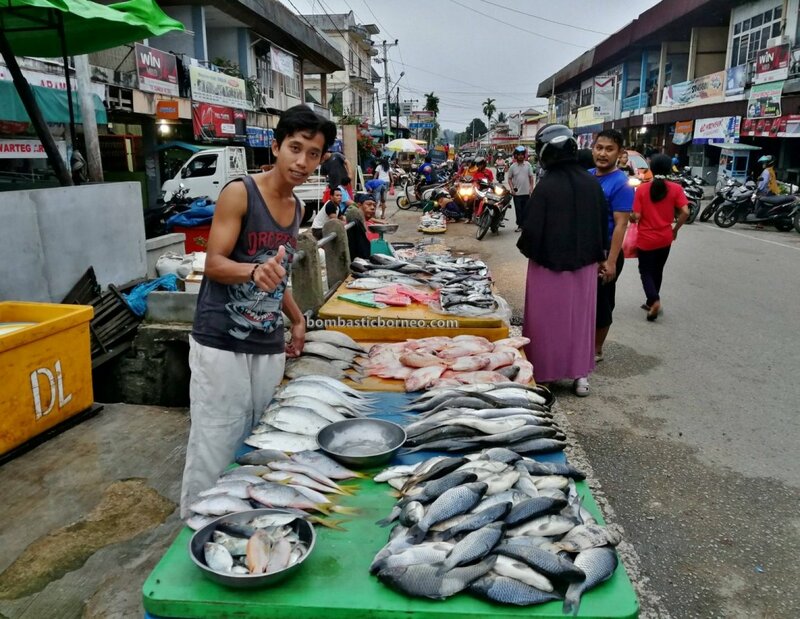 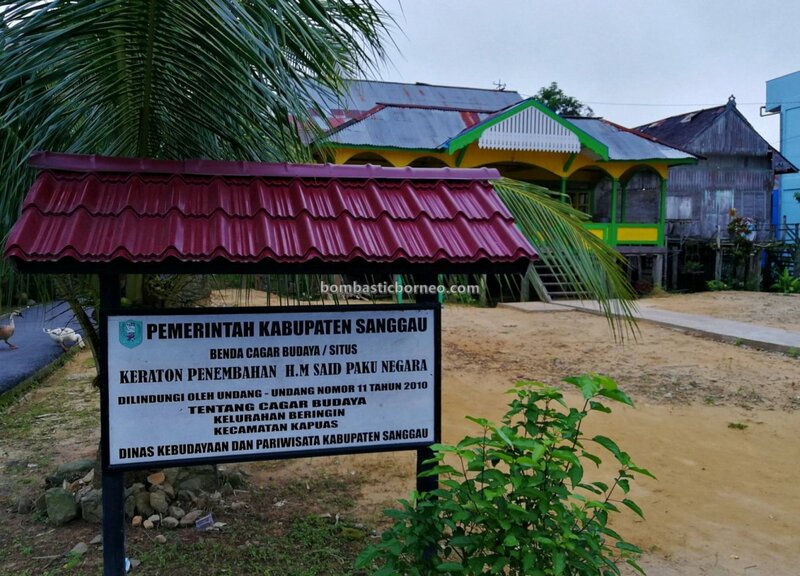 Like all the major towns of Kalimantan, the riverine township of Sanggau has a pretty good mix of the major races and religious groups such as the Christians, Muslims, Buddhists and the recently reestablished Confuscianists. 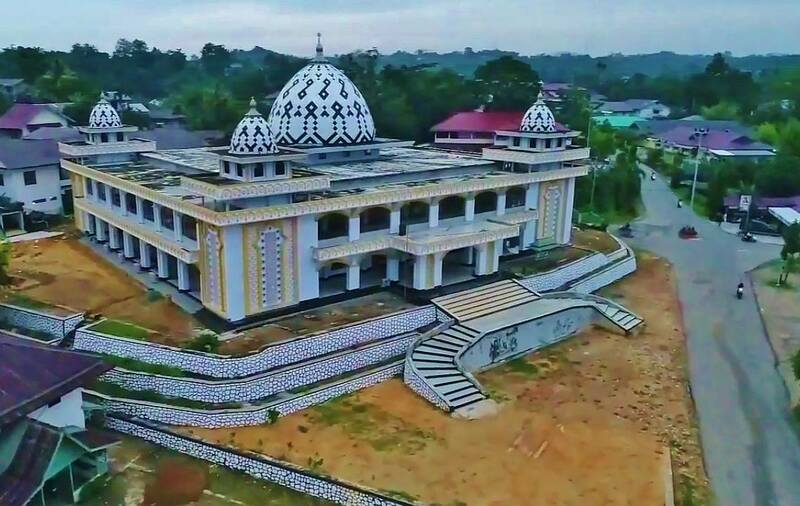 The religious tolerance in Borneo has always been excellent although there have been some racial conflicts between the Dayaks and transmigrants from other parts of Indonesia. 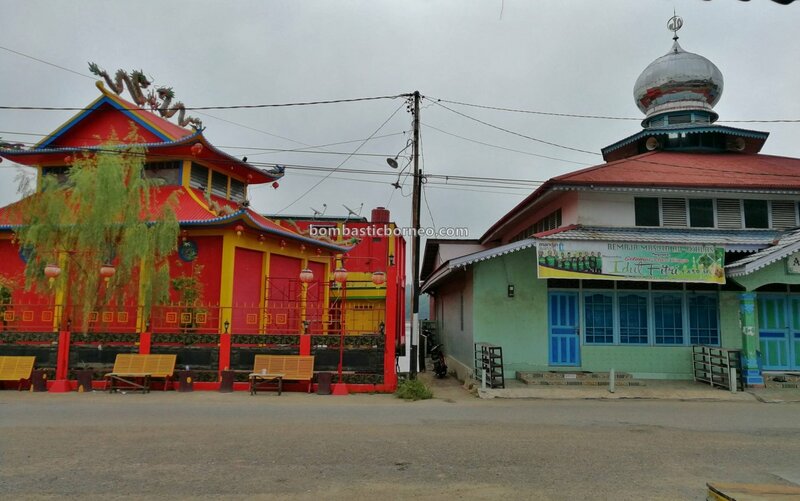 The most outstanding evidence of such religious harmony can be seen in Sanggau town with a mosque right beside a Chinese temple. 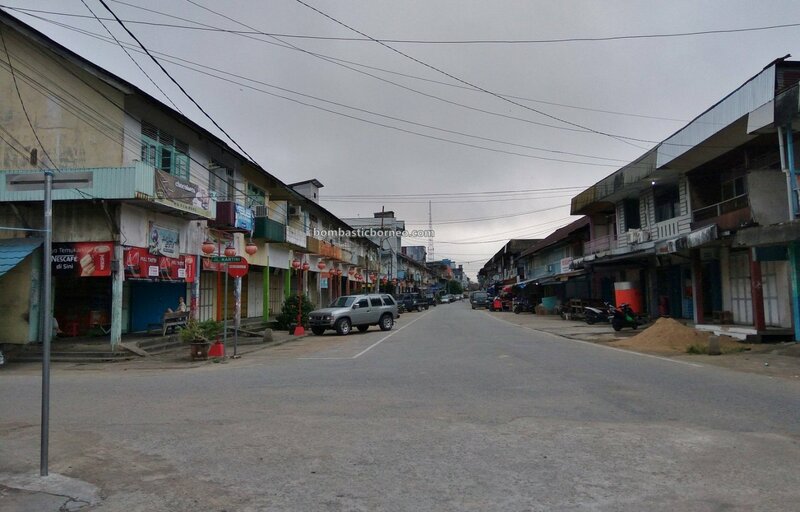 Right across the street was a Chinese coffeeshop where we had our breakfast and Muslims customers joined in without having to ask if the cakes were halal or otherwise. 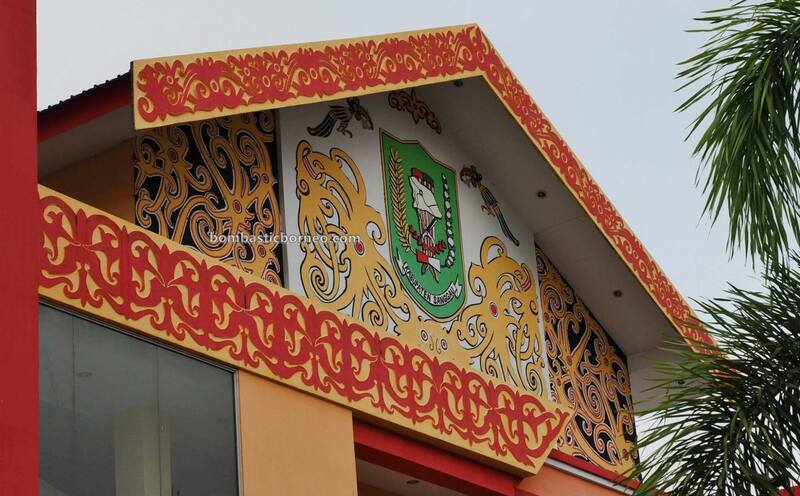 Churches here in Kalimantan are all proudly decorated with Dayak motifs, something unheard of or not allowed in neighbouring Sarawak or Sabah. 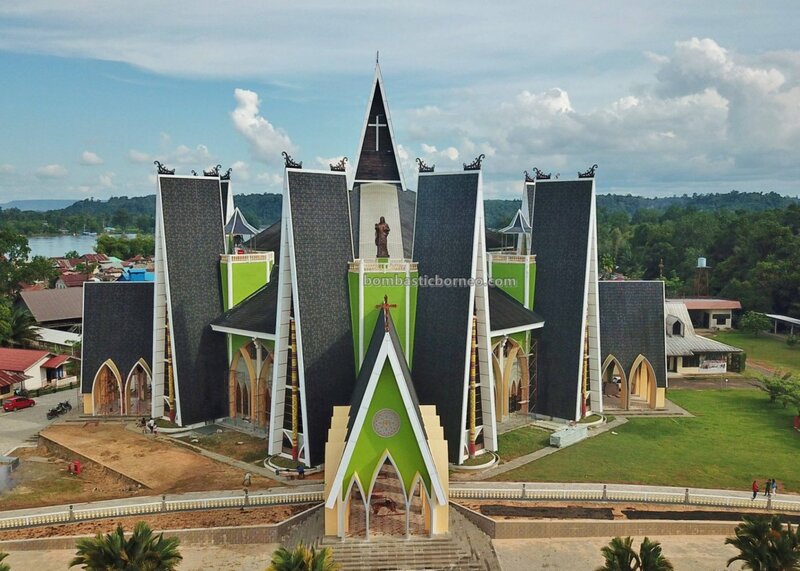 One of the most beautiful churches in Kalimantan. 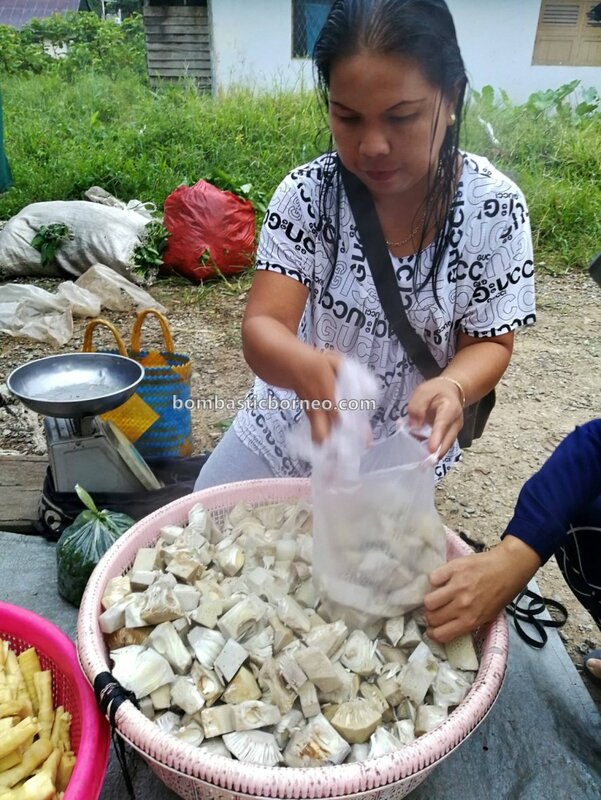 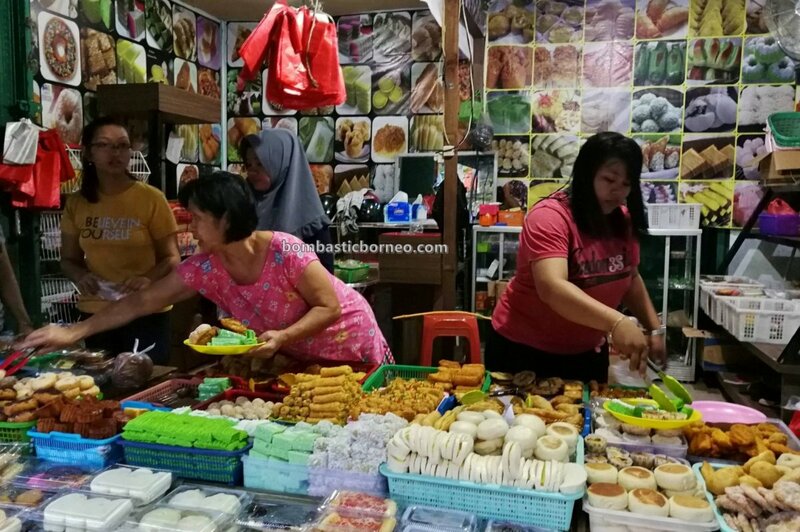 Chinese and Javanese food can be easily found in Sanggau but in the evening most of the Chinese food shops would closed early but the Malay hawker food would take over the street scene. 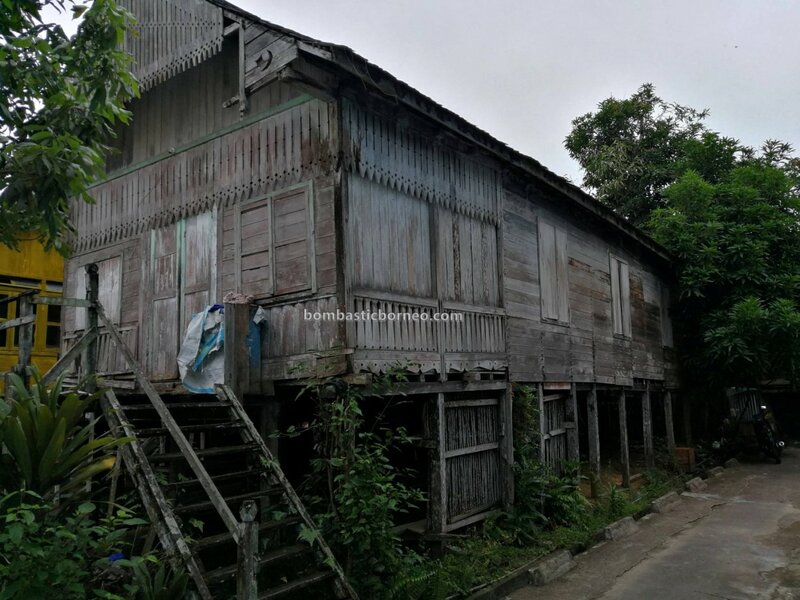 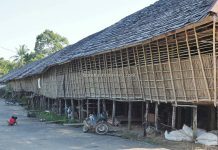 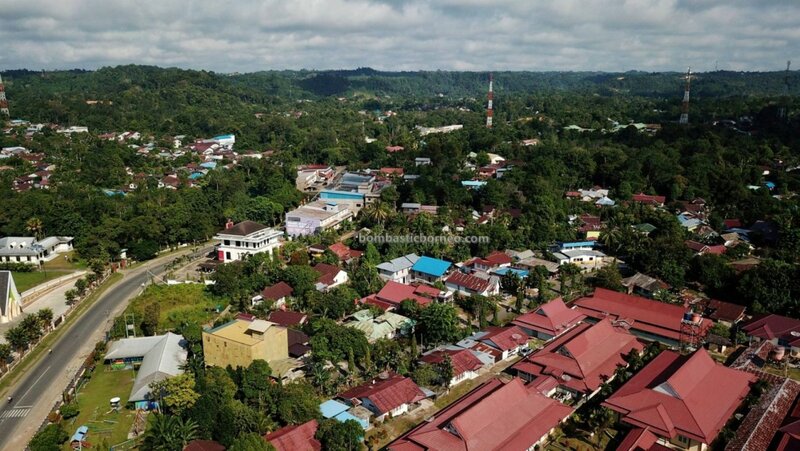 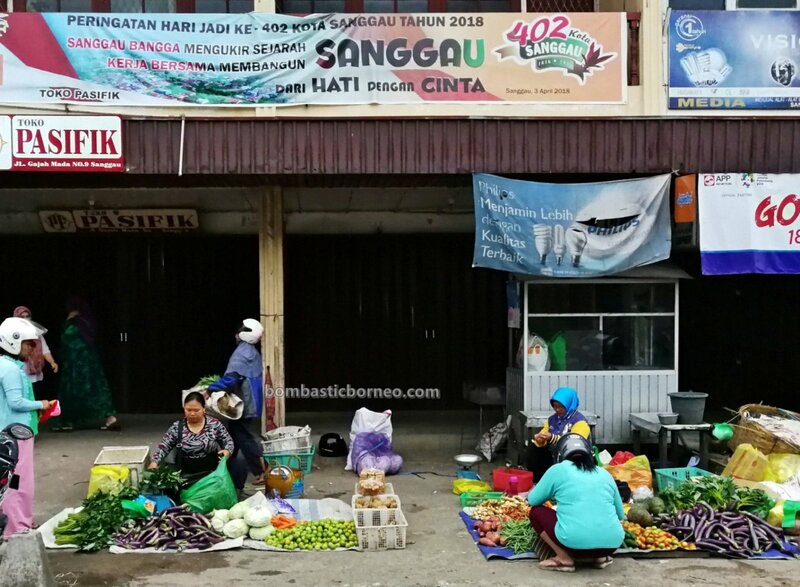 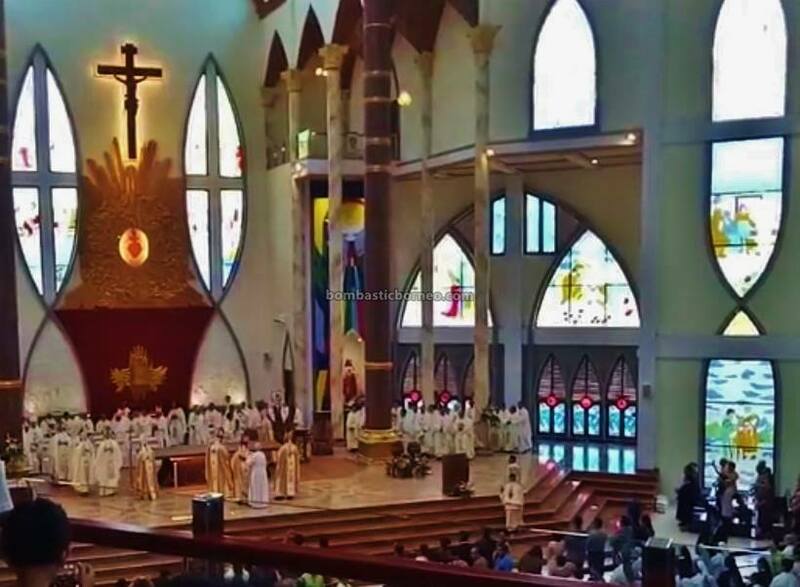 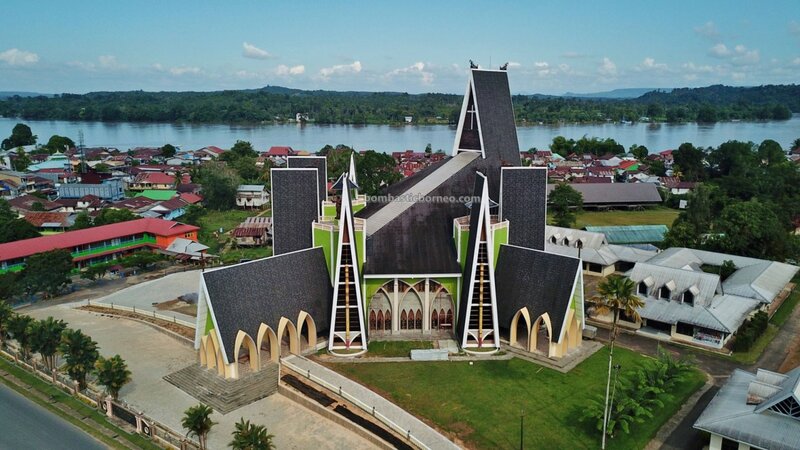 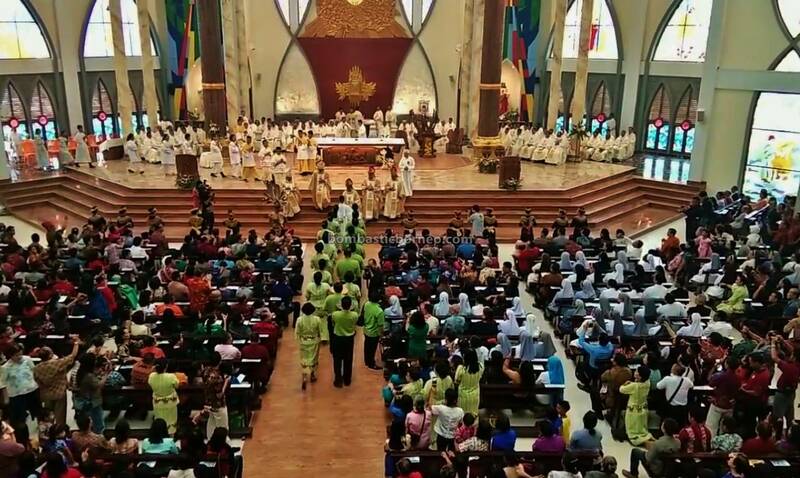 Sanggau could easily be the third option after Pontianak and Singkawang as a destination for Sarawakian tourists especially after the recent grand opening of the Sacred Heart of Jesus Cathedral which caught the attention of Sarawak catholics. 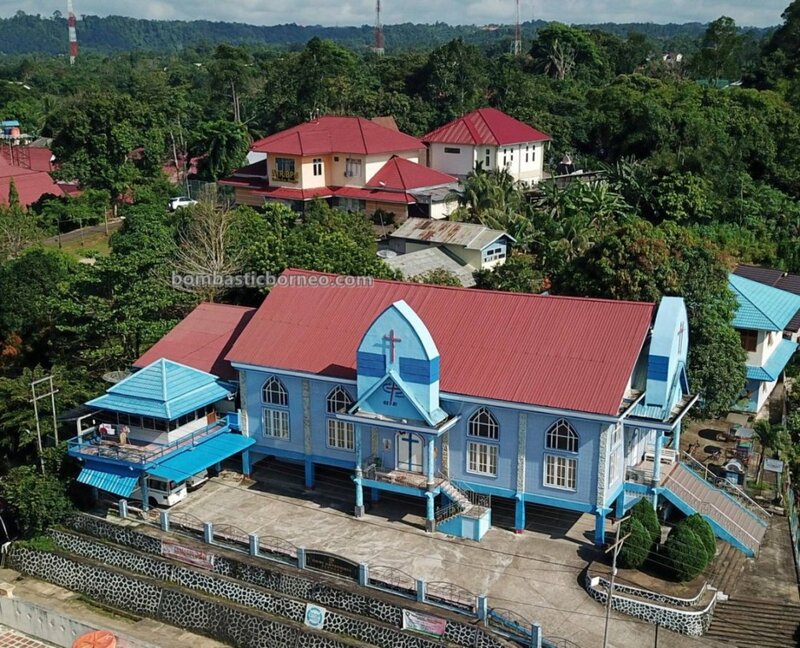 For those who are interested to visit this beautiful church and Sanggau, the quickest route would be to fly to Pontianak from Kuching and take the Tri Star Melawi executive bus to Sanggau. 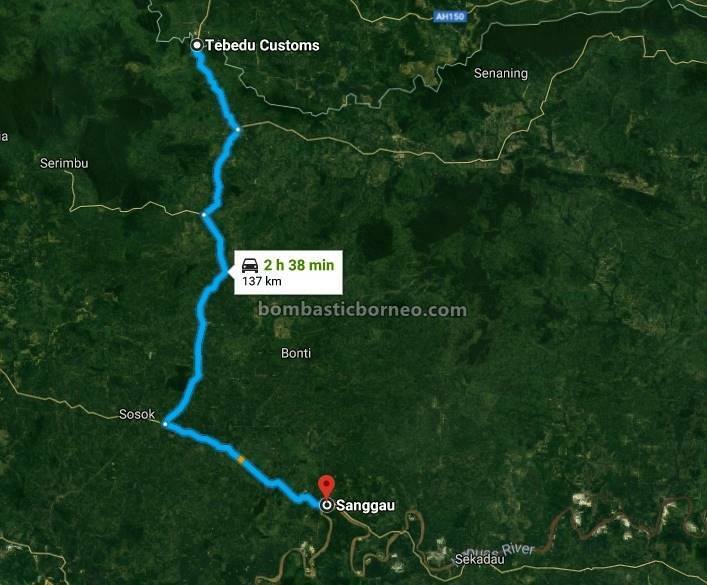 Buses plying between Kuching and Pontianak would also allow passengers to drop off at Sosok and jump onto the non air-condition buses. 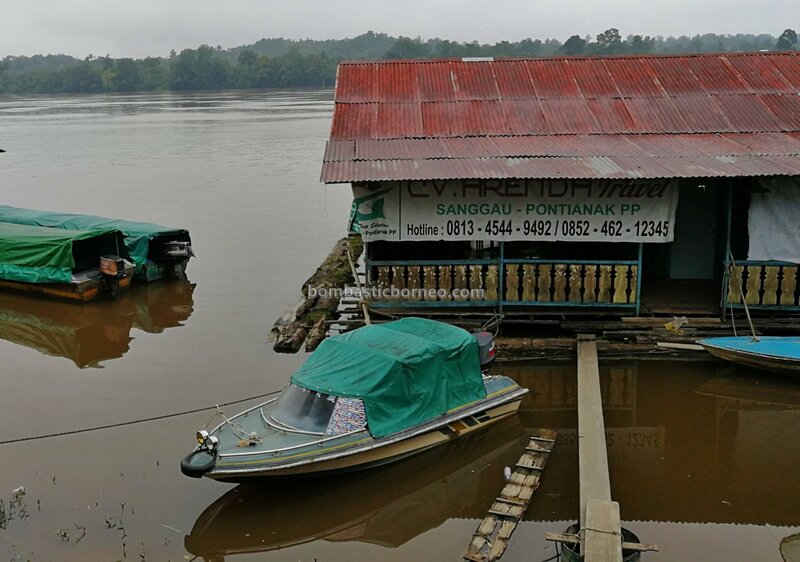 As for travelers in other parts of Sarawak, you may either fly to Kuching first or take the bus and jump out in Serian town before continuing by private van to Tebedu and continue by private tour cars from Entikong to Sanggau. 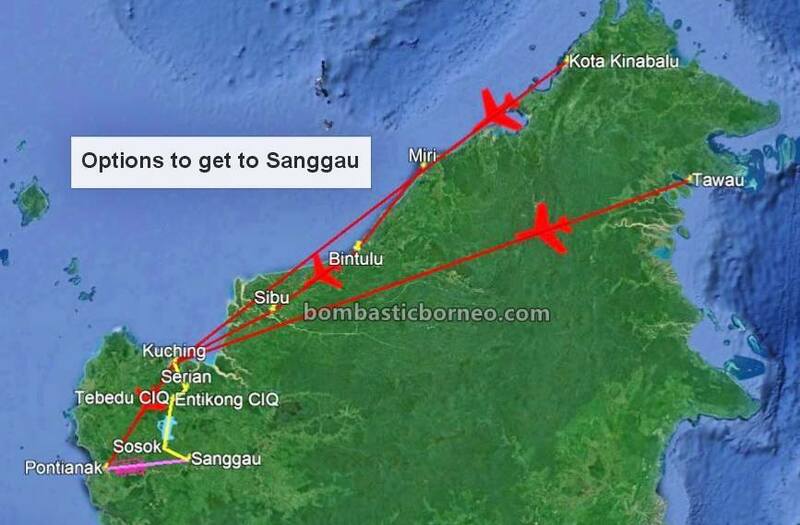 Air transport in red and land transport in yellow and purple. 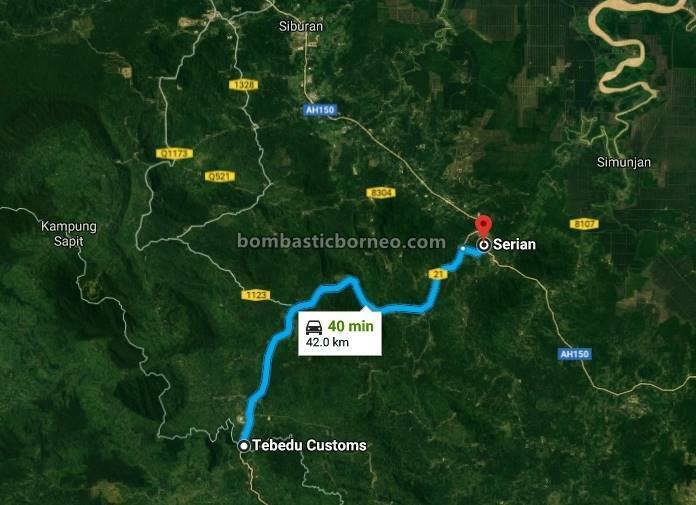 If you prefer to drive your own car via Tebedu/Entikong CIQ and going through the hassle of buying road tax and insurance it would set you back by at least RM200. 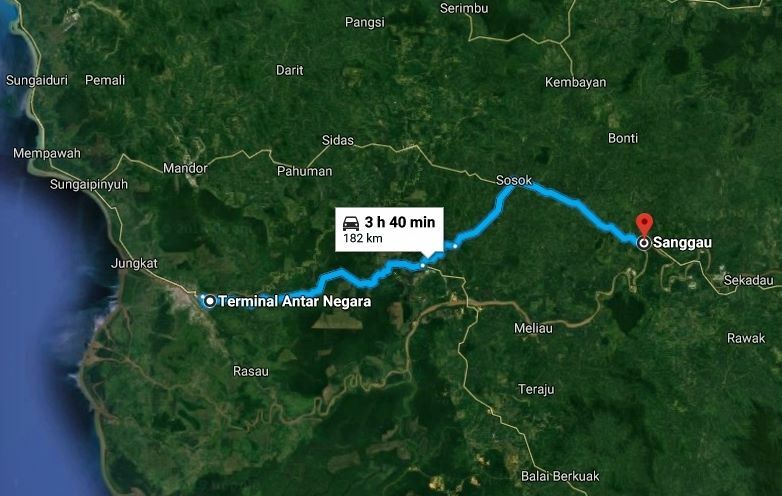 Besides, the time consumed in processing the road tax and insurance would take up at least 1.5 hrs. 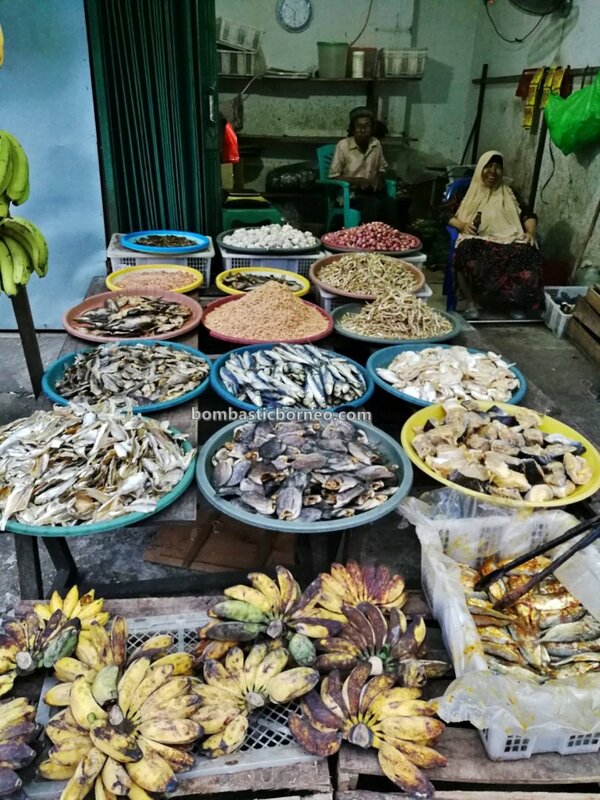 For first timers, the CIQ experience on the Indonesian side can be very confusing and could be an anti climax even before you start your holiday. 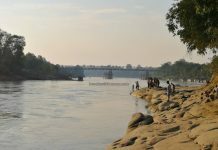 I would advice that you be patient and go through the learning process. 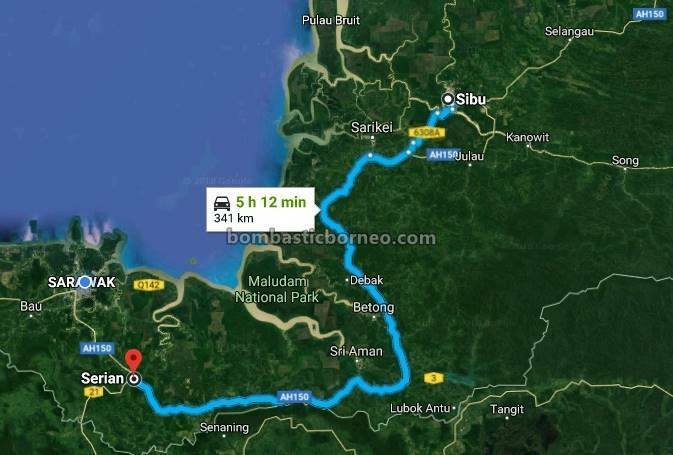 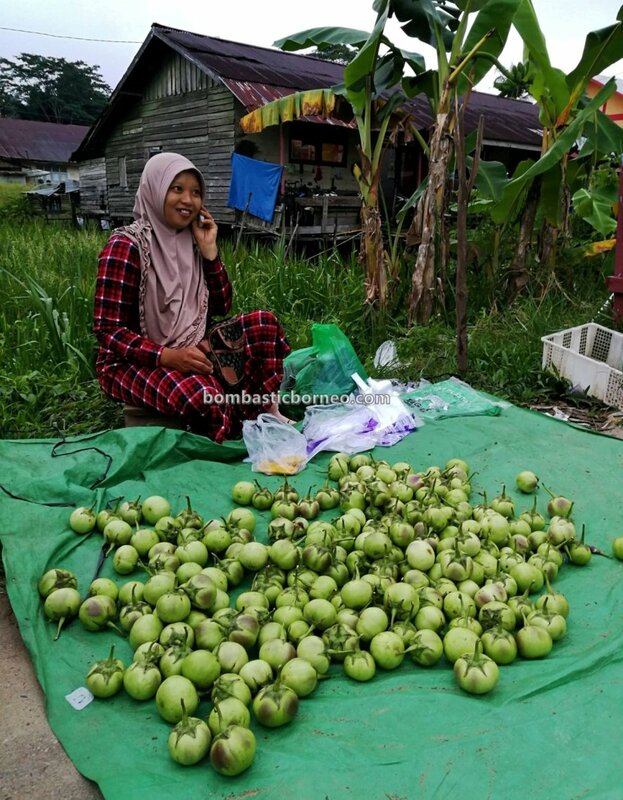 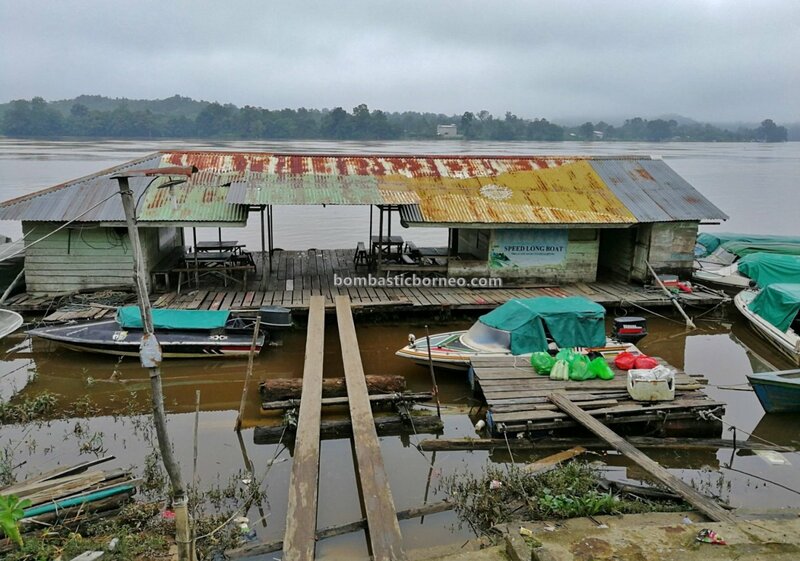 But if you prefer to take the easiest way out, get hold of private van service to Tebedu from Kuching or Serian and walk across the border, stamp your passport and continue by privately organised tour van on the Entikong side to Sanggau. 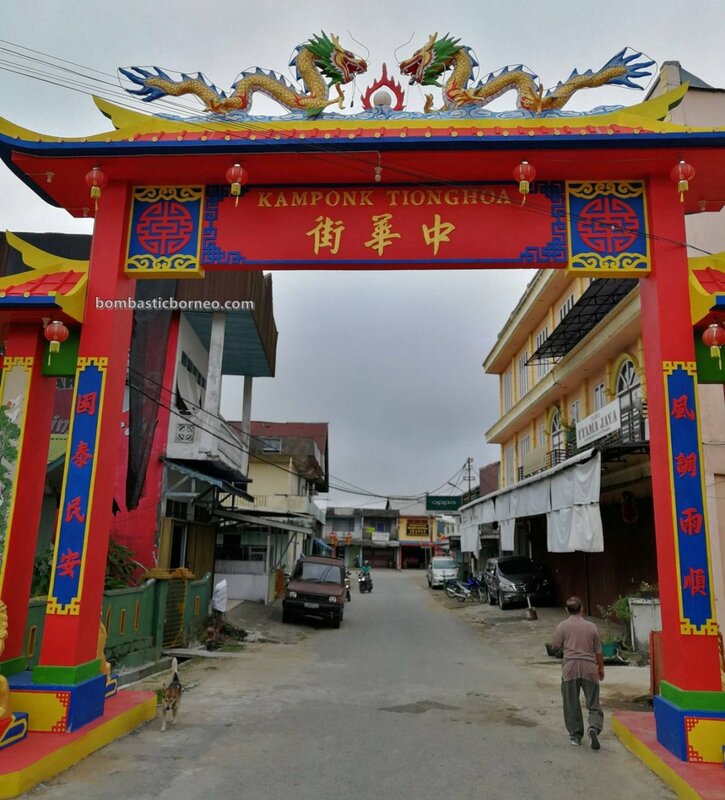 We have trustable friends in the travel business across the border in Entikong that can help organize your visit and tour in Sanggau. 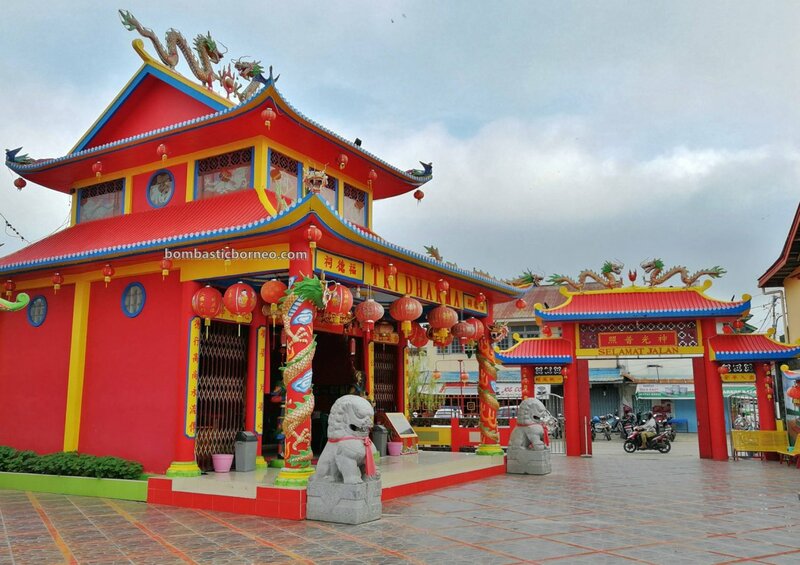 Affordable van sapu services to bring travelers from Kuching to Tebedu are available. 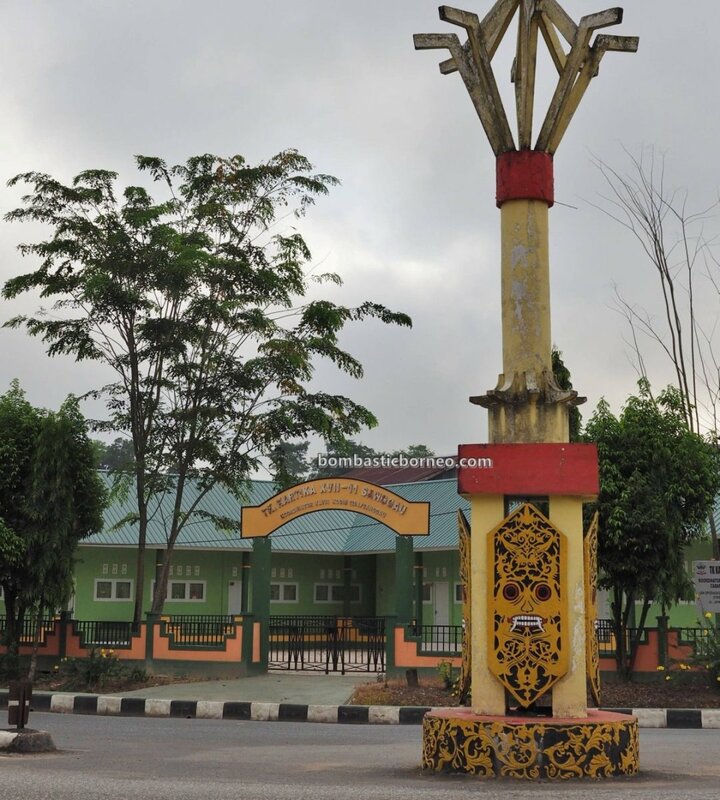 Write in to us for further info and contacts’ details. 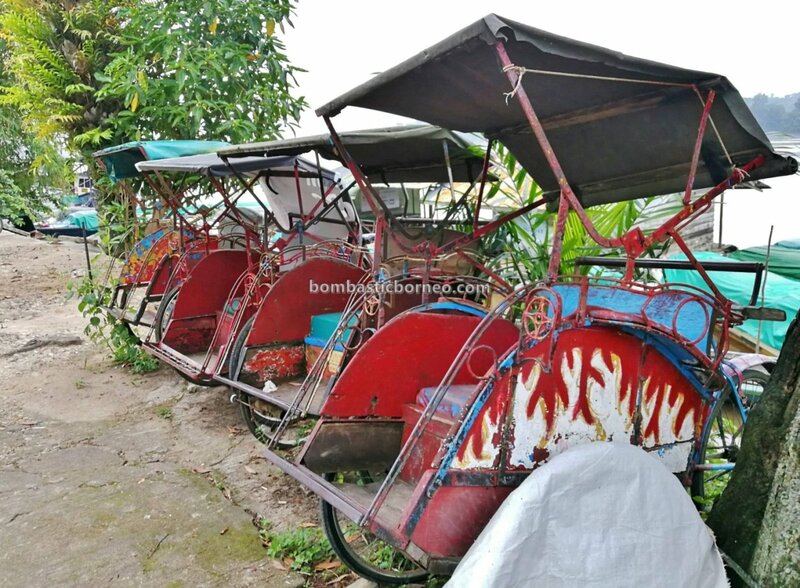 A very ancient form of public transport…the trishaw. 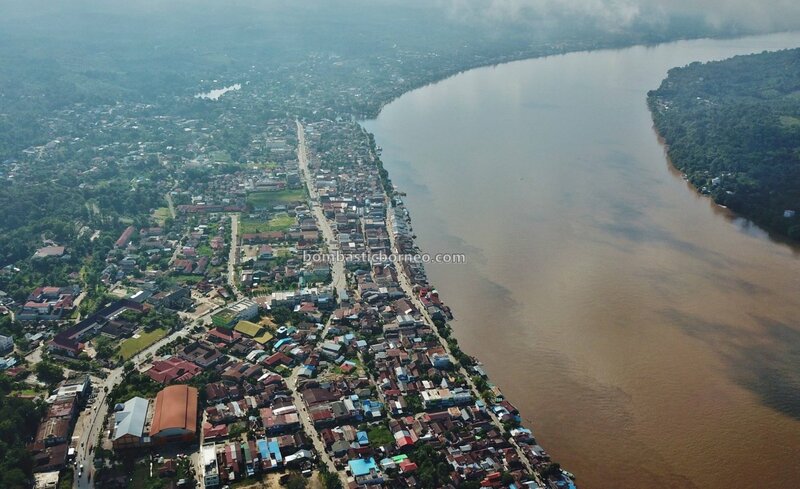 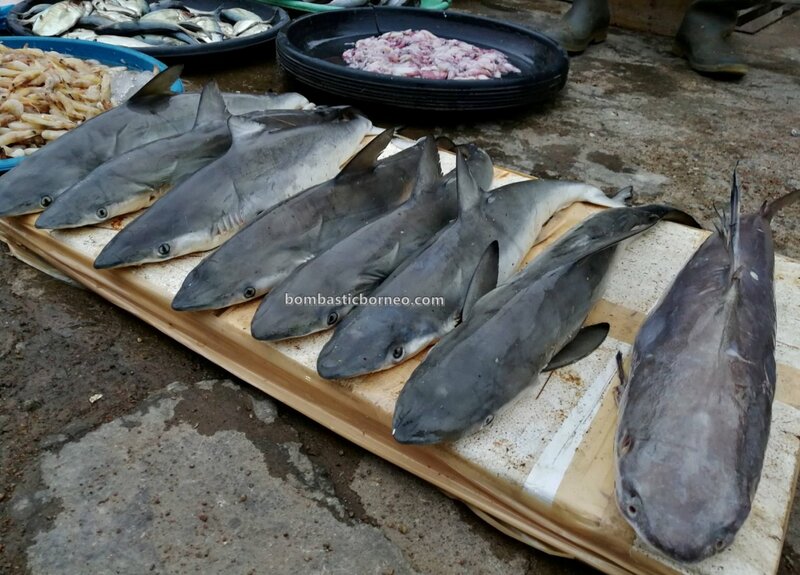 Water taxi service to Pontianak, Putussibau…..